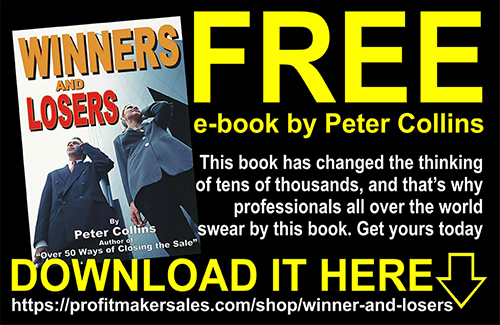 In a sales career spanning more than 53 years, Peter Collins has focused on helping and bringing out the best in others. Peter has only worked for two multi-nationals and yet achieved Hall of Fame status in both (twice with one). His work also involved specialised Sales Development and Consulting plus Sales Processes and Evaluation to the Corporate Sector, SME’s and has given of his time freely to Charities, Church groups and Associations. As a Marketer, Peter has worked with award winning Australian-born International Marketer Bob Pritchard (who consults to 83 Fortune 500 companies). Peters work with Bob included Sales Process Creation, Copy-Writing, Yellow Pages Advertisement Creation/Copy-Writing and the Development/Execution of Specialist Marketing Seminars. 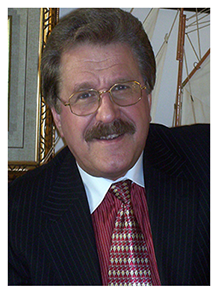 Bob has also edited and collaborated in a number of Foundational Marketing concept documents and books Peter had created on behalf of clients…. Although Peter has built a reputation as a Nationally Published author since 1970 and an Internationally Published author since the 1980’s and has 133 books to his credit, of which 68 are business books, and has sold over 2 and a half million books to date, yet Peter is mainly known for one book based on the Audio Tape series of the same name, Over 50 Ways of Closing the Sale. He has also had over 3,500 articles published in Newspapers, Magazines and Circulars; appeared on Television, Radio and Video; and has worked as a Seminar Presenter, Corporate Trainer and Key-Note Speaker since 1977. And Peter has spoken at NSW Parliament House and at the Great Hall, Australian Parliament House, Canberra on a number of occasions. His work has also involved high-level dealings with key Federal and State Government Ministers, Public Service and Major Business Leaders since the late 1970’s and has consulted extensively since the early 1980’s.